Because it apparently takes three days to prepare (mentally or otherwise) for a night of football, expensively unfunny commercials, and excessive snacking, Americans once again mostly ignored the multiplex on Super Bowl weekend. There wasn’t much in the way of new releases for them to see, of course, as most studios anticipate mass moviegoer indifference during the run-up to the year’s biggest television event and smartly opt to sit the first weekend of February out. One wide release did try its luck during this famously quiet annual timeframe and did about as well as could be expected: Winchester, a highly forgettable “inspired by real events” ghost story set and shot in California’s Winchester Mystery House, landed in third place with a soft, expected $9.25-million opening. Blame the game, or acknowledge that the ceiling for a horror movie with no real scares to advertise isn’t much higher than what this one managed to touch. 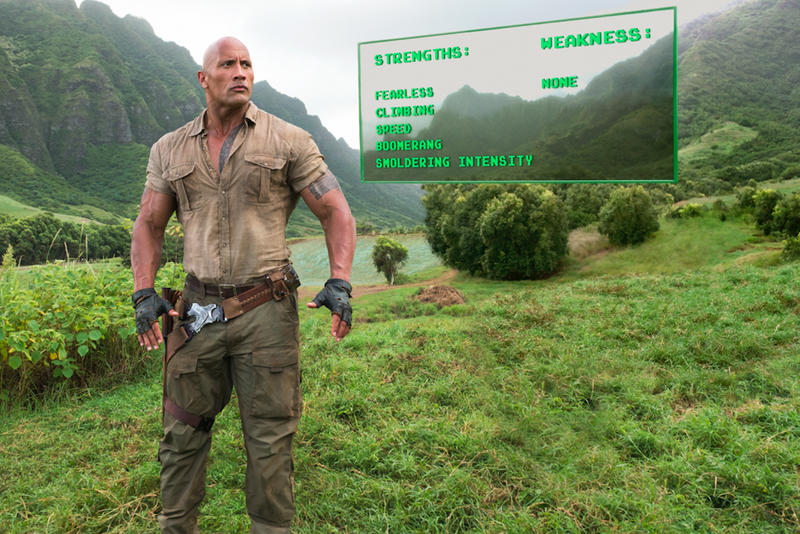 The lack of anything big, new, and exciting to see was a boon for the unstoppable franchise revival of last/this year, Jumanji: Welcome To The Jungle. After falling to second place last weekend, the sleeper smash climbed back into first, scaling the box-office charts as surely as star Dwayne Johnson will apparently scale a very tall building in July’s Super-Bowl-previewed Skyscraper. Jumanji’s $11-million seventh weekend shot it past the $350-million mark, and within striking distance of Spider-Man 2; if it manages to surpass that much-less-belated part two, it will become Sony’s second-biggest hit of all time, behind only the first Spider-Man. Jumanji effectively swapped places with the film that temporarily dethroned it last weekend: the third and final Maze Runner movie, which made another $10.2 million but now seems almost certain not to match the grosses of its predecessors (especially with a new Fifty Shades movie opening next weekend, Black Panther the weekend after that, and the Natalie Portman sci-fi vehicle Annihilation three weekends out). Two torchbearers for supposedly dead Hollywood genres, the runaway musical success story The Greatest Showman ($9.2 million) and the doing-well-enough Western Hostiles ($7.8 million), rounded out the top five. Further down, most of the major Oscar contenders continued to do healthy business in wide and limited release, largely unscathed by the Super Bowl, because prestige movies are for nerds, footballs is for jocks, etc. The big question looming over this weekend is whether the Cloverfield watch-it-after-the-game marketing stunt will pay off, despite the apparent quality of the movie itself. If we know Netflix, they’ll soon be reporting that it’s now the biggest hit of all time, based on numbers nobody is allowed to see. For more detailed numbers (though none about how Cloverfield is doing), visit Box Office Mojo.